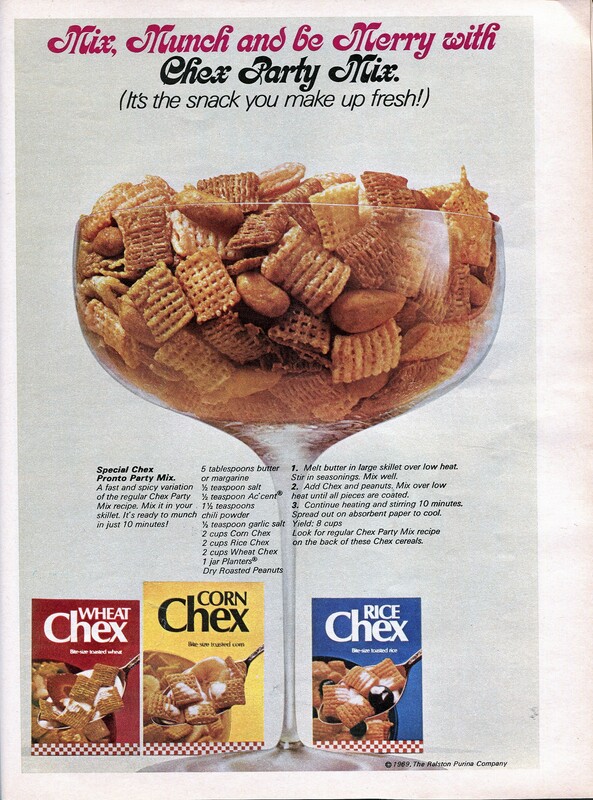 Musings from Marilyn » Original 1969 Chex Party Mix Recipe – Pronto Spicy Version!. Posted December 11, 2016 by finnfemme & filed under Daily Life, Food, Vintage. Mix, Munch and be Merry with Chex Party Mix. It’s the snack you make up fresh! This is a fab recipe from the December 1969 issue of Ingenue magazine for that classic snack, Chex Party Mix. I checked online for “original” Chex Party Mix recipes, but they are different. The new recipes have slightly different ingredients, and use a microwave (which was not in widespread use in 1969). In keeping with vintage authenticity, here is the recipe for a fast and spicy variation of the regular Chex Party Mix recipe. Mix it in your skillet. It’s ready to munch in just 10 minutes. Melt butter in large skillet over low heat. Stir in seasonings. Mix well. Add Chex and peanuts. Mix over low heat until all pieces are coated. Continue heating and stirring 10 minutes. Spread out on absorbent paper to cool. Yield: 8 cups. 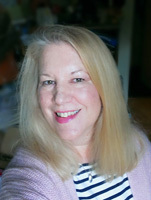 Enjoy this vintage 60s party classic!